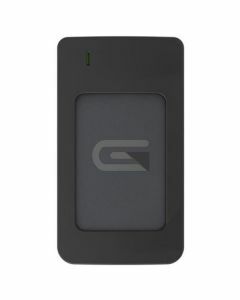 The Atom RAID SSD is Glyph's fastest ever SSD with transfer speeds of upto 800MB/s thanks to the pre-configured RAID 0 and Thunderbolt 3 & USB-C connectivity. The rugged, bus-powered aluminium enclosure fits in your pocket and with capacities of either 1TB or 2TB is large enough to keep important music/videos and files with you on the go. Time Machine Compatible - ATOM RAID SSD comes preformatted HFS+ with Journaling and is Time Machine compatible out of the box. A simple reformat is all it takes for the ATOM to work with Windows systems. ATOM RAID SSD has been designed from the ground up to provide the fastest performance, ultimate reliability, and a simple, elegant experience throughout your creative process.